C11 Tactical Semi-Automatic Pistols | BUDK.com - Knives & Swords At The Lowest Prices! 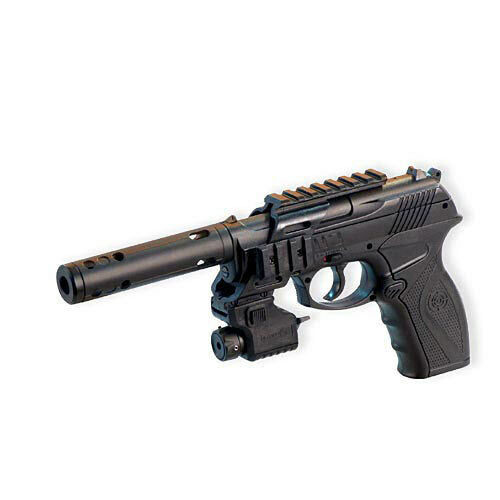 .177 semi-automatic pistol features tactical accessories to enhance your shooting experience. Fires BB's one at a time. Quad rails to mount accessories. Steel barrell. Class IIIA laser sight and spring-activated BB clip. Holds up to 20 BB's. 550 FPS.